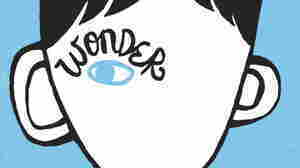 Wonder NPR coverage of Wonder by R. J. Palacio. News, author interviews, critics' picks and more. 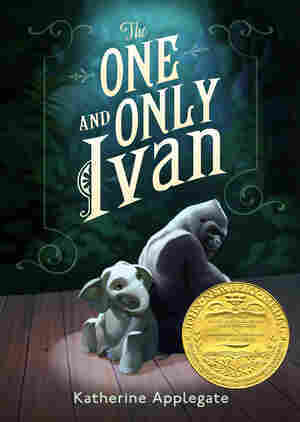 Born with a facial deformity that initially prevented his attendance at public school, August "Auggie" Pullman enters the fifth grade at Beecher Prep and struggles with the dynamics of being both new and different in this tale about acceptance, self-esteem and the transformative power of human kindness. 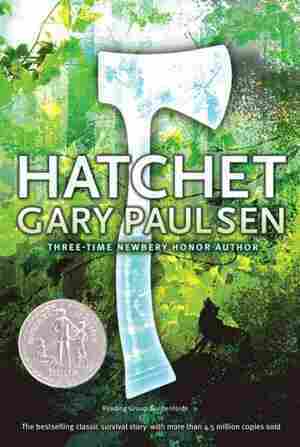 December 18, 2013  What books that touch on topics of race would you recommend to a not-so-bookish teen? A reader asks us to share our suggestions. September 12, 2013  A chance encounter with a little girl in an ice cream store inspired R.J. Palacio to write a novel about a boy born with distorted facial features. She says it got her thinking about what it's like to "have to face a world every day that doesn't know how to face you back." August 14, 2013  R.J. Palacio explores the life of 10-year-old Auggie Pullman, a tough, sweet kid who was born with a serious facial deformity. He wants a normal life, but adults and children alike turn their eyes away at the sight of him. Join NPR's Backseat Book Club as we read a novel about cruelty and kindness. 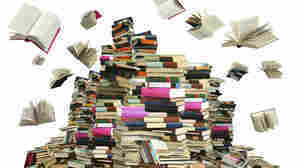 December 10, 2012  NPR's Backseat Book Club polled children's booksellers and librarians to find 2012's best books for middle-graders. The winners are a heartwarming city kid's tale, a Chinese folklore-inspired adventure, and an encounter with a 10-year-old you'll never forget. 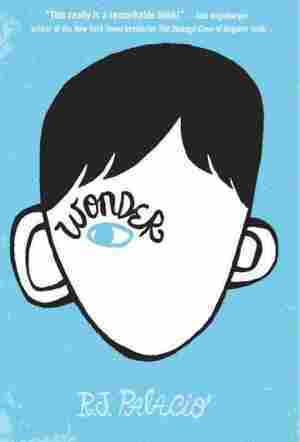 March 22, 2012  In R.J. Palacio's new novel, a middle-schooler with a facial deformity struggles to fit in. Raquel Jaramillo, the author behind the pen name, says she found it more interesting to write about teens being kind than about teens being mean. I know I'm not an ordinary ten-year-old kid. I mean, sure, I do ordinary things. I eat ice cream. I ride my bike. I play ball. I have an XBox. Stuff like that makes me ordinary. I guess. And I feel ordinary. Inside. But I know ordinary kids don't make other ordinary kids run away screaming in playgrounds. I know ordinary kids don't get stared at wherever they go. If I found a magic lamp and I could have one wish, I would wish that I had a normal face that no one ever noticed at all. I would wish that I could walk down the street without people seeing me and then doing that look-away thing. Here's what I think: the only reason I'm not ordinary is that no one else sees me that way. But I'm kind of used to how I look by now. I know how to pretend I don't see the faces people make. We've all gotten pretty good at that sort of thing: me, Mom and Dad, Via. Actually, I take that back: Via's not so good at it. She can get really annoyed when people do something rude. Like, for instance, one time in the playground some older kids made some noises. I don't even know what the noises were exactly because I didn't hear them myself, but Via heard and she just started yelling at the kids. That's the way she is. I'm not that way. Via doesn't see me as ordinary. She says she does, but if I were ordinary, she wouldn't feel like she needs to protect me as much. And Mom and Dad don't see me as ordinary, either. They see me as extraordinary. I think the only person in the world who realizes how ordinary I am is me. My name is August, by the way. I won't describe what I look like. Whatever you're thinking, it's probably worse. Next week I start fifth grade. Since I've never been to a real school before, I am pretty much totally and completely petrified. People think I haven't gone to school because of the way I look, but it's not that. It's because of all the surgeries I've had. Twenty-seven since I was born. The bigger ones happened before I was even four years old, so I don't remember those. But I've had two or three surgeries every year since then (some big, some small), and because I'm little for my age, and I have some other medical mysteries that doctors never really figured out, I used to get sick a lot. That's why my parents decided it was better if I didn't go to school. I'm much stronger now, though. The last surgery I had was eight months ago, and I probably won't have to have any more for another couple of years. Mom homeschools me. She used to be a children's-book illustrator. She draws really great fairies and mermaids. Her boy stuff isn't so hot, though. She once tried to draw me a Darth Vader, but it ended up looking like some weird mushroom-shaped robot. I haven't seen her draw anything in a long time. I think she's too busy taking care of me and Via. I can't say I always wanted to go to school because that wouldn't be exactly true. What I wanted was to go to school, but only if I could be like every other kid going to school. Have lots of friends and hang out after school and stuff like that. I have a few really good friends now. Christopher is my best friend, followed by Zachary and Alex. We've known each other since we were babies. And since they've always known me the way I am, they're used to me. When we were little, we used to have playdates all the time, but then Christopher moved to Bridgeport in Connecticut. That's more than an hour away from where I live in North River Heights, which is at the top tip of Manhattan. And Zachary and Alex started going to school. It's funny: even though Christopher's the one who moved far away, I still see him more than I see Zachary and Alex. They have all these new friends now. If we bump into each other on the street, they're still nice to me, though. They always say hello. I have other friends, too, but not as good as Christopher and Zack and Alex were. For instance, Zack and Alex always invited me to their birthday parties when we were little, but Joel and Eamonn and Gabe never did. Emma invited me once, but I haven't seen her in a long time. And, of course, I always go to Christopher's birthday. Maybe I'm making too big a deal about birthday parties. From Wonder by R. J. Palacio. Copyright 2012 by R. J. Palacio. Excerpted by permission of Alfred A. Knopf, an imprint of Random House Children's Books.